The anticipation for the release of the Avengers 4 trailer has been off the charts with fans wondering when it will ever come out. The Game Awards featured new trailers for upcoming video games, and with the Russo brothers making an appearance, some fans thought that there might be a surprise Avengers trailer. Well, the wait is over since Marvel Studios has released the trailer today, and the title of the video didn’t reveal the full official title. That comes near the end as we finally get a confirmation with Avengers: Endgame. The trailer doesn’t show a lot of different clips and instead opts to focus on longer cuts to build up the mood. Let’s get to it, shall we? We first see Iron Man’s busted helmet with Tony Stark drifting slowly in space. He’s recording a video log for Pepper Potts about his dreary situation while being stranded inside the Guardians of the Galaxy’s ship, Benatar, with little oxygen. But we all know he’s not going to go out like that. In Avengers: Infinity War, the Guardians of the Galaxy rescued Thor as he was drifting in space, so in Avengers: Endgame, we might see Captain Marvel saving Iron Man, especially since the Guardians of the Galaxy members have died off like Gamora, Star-Lord, Drax, Groot, and Mantis. Rocket Raccoon and Nebula are still alive though. With no water and food for four days and oxygen gone in a day, Tony is prepared to meet his fate. The scene fades to black and we then see the Marvel Studios logo. It starts to turn to dust just like the Avengers logo during the end credits scene in Avengers: Infinity War. Marvel is really enjoying playing with our emotions. 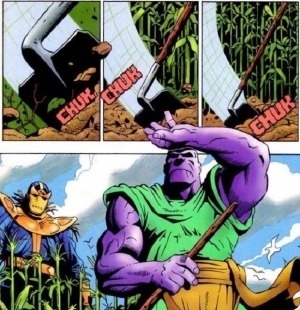 Thanos is living a peaceful life, now that he has wiped out half the population of the universe with a snap. His armor is put away like a scarecrow as he walks in the fields. It’s a great homage to the comics. The trailer then cuts back to Avengers HQ with Black Widow giving us the lowdown on what Thanos did. Steve Rogers has tears running down his face, and this really shows us how the events of Avengers: Infinity War has affected him. Bruce Banner (Mark Ruffalo) looks at the missing people including Ant-Man, Shuri and Spider-Man, and he’s really devastated by it. Thor is still rocking his new eye and is sporting Earth clothing, but he’s not looking happy. He is most likely upset that he didn’t finish Thanos off with the killing blow. Nebula is back, and it looks like she’ll be having some quality time with Tony Stark on the ship. But if that’s the case, why is Tony talking like he’s alone? Perhaps Nebula left him to look for help? Black Widow discovers Hawkeye killing people on the streets. He is not happy, and it looks like he’s trying to find answers as to what happened. We can hear Cap saying, “We lost family. We lost a part of ourselves.” Let’s take a guess that Hawkeye’s family is gone, and he’s on the warpath. We then see Steve looking at a photo of Peggy Carter, his first love. “This is the fight of our lives,” Cap continued. “This is going to work, Steve,” Black Widow says while nodding her head. That sounds like Cap is going to go off the walls if the plan fails. The trailer then reveals the official title, Avengers: Endgame. With a title like that, you know things are about to go down. Steve Rogers asks if that’s an old message, and Black Widow tells him it’s the front door. Let’s see if Ant-Man’s time in the Quantum Realm will help the Avengers beat Thanos. Will it involve time travel? Remember the report of Scott Lang’s daughter being played by an older actress? Perhaps Scott will help the team travel to the future and past. 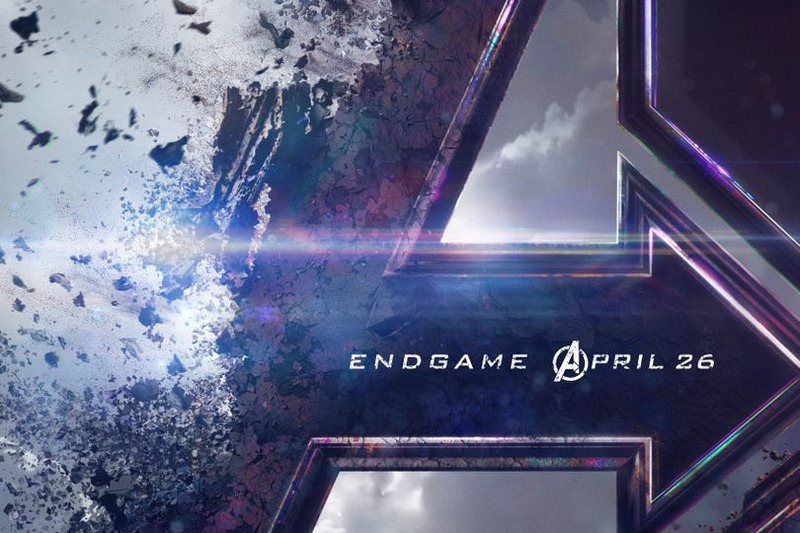 The post Here’s what we know so far in the Avengers: Endgame trailer appeared first on Nerd Reactor.